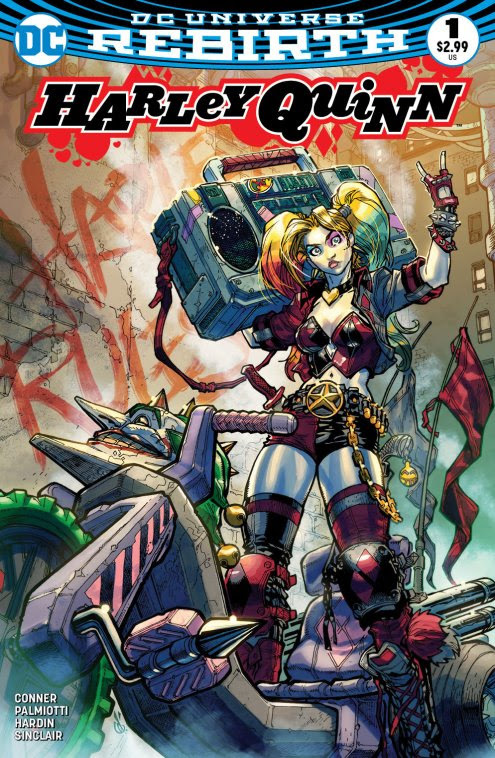 Based on the Carlos D’Anda variant cover of the DC Universe Rebirth Harley Quinn #1 (pictured below), this stylized Harley is full of Funko flair! Standing about 3 3/4″ tall, this PREVIEWS ExclusiveHarley Quinn Pop! vinyl figure comes in a collector-friendly window box for easy display!